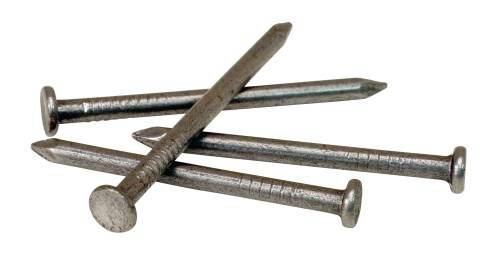 Roofing Nails Are For Applying Asphalt Shingles, Insulation Board, and Felt To Wood Substrates. Large Head and Heavier Shank Gauge Provide Greater Holding Power. WIRE NAILS 16 X 1-1/4 IN. WIRE NAILS 17 X 1 IN. WIRE NAILS 17 X 7/8 IN. WIRE NAILS 18 X 3/4 IN. WIRE NAILS 19 X 1/2 IN.